Mikhail represents the Advisory Department in PwC Russia. 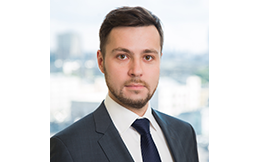 Mikhail is a subject matter expert in XBRL, data management and blockchain (distributed ledger technology) services in PwC Russia and CEE/CIS region. With over 15 years of experience as a IT and business consultant, he supports companies to design and implement digital transformation efforts. Mikhail is experienced in providing XBRL implementation services for a range of clients and industries as a technology leader. Developer of XBRL software tools for filers and taxonomy developers such as online (Arelle based) and desktop XBRL instance and taxonomy viewer and validator, Excel-XBRL-Excel instance converter, etc. Expert in emerging technologies (Big Data, IoT, AI, Blockchain) at PwC’s Accelerator (https://www.pwcaccelerator.com). Member of XBRL International Best Practice Board. Can the same benefits that structured data accrues to regulators provide benefits to todays modern enterprises?